For the past several years, Crescent Solutions has sponsored a family through the Miracles for Kids Foundation. The specific family we sponsor, Alex Hays and his mother Deanna Wright, have had quite the journey so far. Alex, 11, is an Irvine native who was diagnosed with Diamond Blackfan Anemia when he was only several months old. As Alex grew older and visits to the hospital were rising in frequency, Deanna made the decision to quit her job in order to focus her time on Alex. 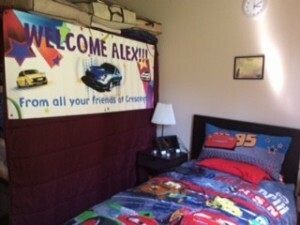 The journey for Alex and his family has been a difficult one, but not impossible. With the help of the community and Miracles for Kids, Alex and Deanna were able to move into Miracle Manor, which had their Grand Opening in July of 2016, and maintain their regular visits to the hospital. 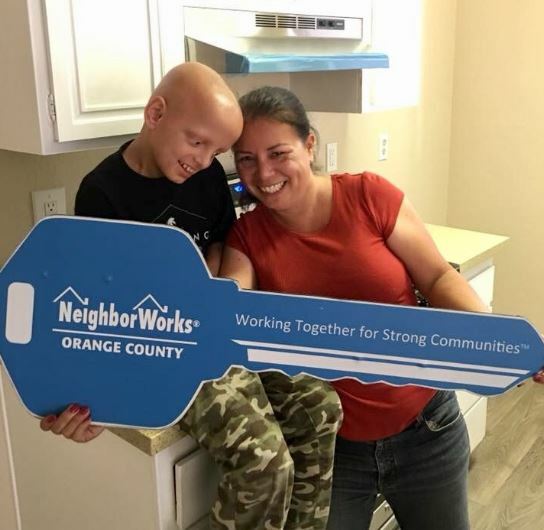 Just this past week, Deanna notified Crescent that she and her son, Alex, were able to make the move to a new home. The Hays family is the first and only family so far to leave their 2 year term at Miracle Manor and become homeowners.